A remarkable 1,060 new species have been discovered the island of New Guinea from 1998 to 2008, but poorly planned and unsustainable development - particularly from logging and forest conversion to agriculture - is putting many of these unique creatures at risk, a new WWF study finds. Port Moresby, Papua New Guinea - A remarkable 1,060 new species have been discovered the island of New Guinea from 1998 to 2008, but poorly planned and unsustainable development - particularly from logging and forest conversion to agriculture - is putting many of these unique creatures at risk, a new WWF study finds. Final Frontier: Newly Discovered species of New Guinea (1998 – 2008) shows that 218 new kinds of plants - close to 100 of which are orchids - 43 reptiles and 12 mammals, including a unique snub-fin dolphin, have been found on the tropical island over a ten year period. Added to the tally is an astounding 580 invertebrates and 134 amphibians, 2 birds and 71 fish, among them an extremely rare 2.5m long river shark. “This report shows that New Guinea’s forests and rivers are among the richest and most biodiverse in the world. But it also shows us that unchecked human demand can push even the wealthiest environments to bankruptcy,” says Dr. Neil Stronach, WWF Western Melanesia’s Program Representative. New Guinea is the largest tropical island on Earth and is divided between the countries of Papua New Guinea (PNG) in the East and Indonesia in the West. It contains the third largest tract of rainforest in the world after the Amazon and the Congo. This mysterious island covers less than 0.5 per cent of the Earth’s landmass but shelters 6 to 8 per cent of the world’s species. Over two thirds of these species are found nowhere else on earth. It is also home to Asia’s most pristine rivers and wetlands. Its natural gifts also extend to the reefs surrounding New Guinea, in the heart of the Coral Triangle, which have the world’s highest concentration of coral and reef fish. “If you look at New Guinea in terms of biological diversity, it is much more like a continent than an island,” says Dr. Stronach. “Scientists found an average of two new species each week from 1998 – 2008 – nearly unheard of in this day and age,” he says. 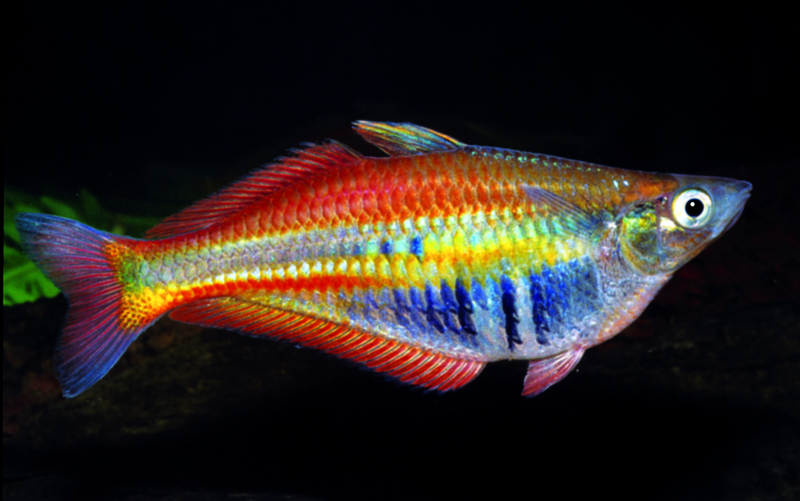 No fewer than seven brightly colored new species of rainbow fish were identified in PNG and Papua in Indonesia over the ten-year period, including Allen’s rainbow fish (Chilatherina alleni). WWF scientists added to the known orchid diversity found on the island, collecting hundreds of orchids in PNG’s Kikori region. 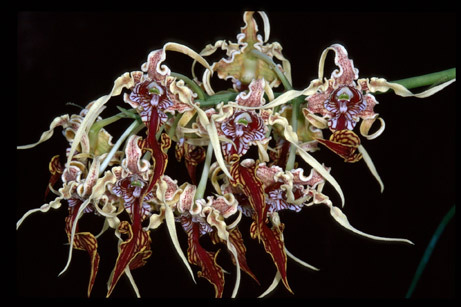 Eight of these were new to science, including the ornate and exquisite firework-like display of the Dendrobium spectabile orchid. “Despite its remote location, New Guinea’s natural habitats are being lost at an alarming rate. The island’s forests are facing serious threats including logging, mining, wildlife trade and conversion to agriculture, particularly oil palm,” says Dr. Eric Verheij, Conservation Director, WWF Western Melanesia. In PNG between 1972 and 2002, independent studies have shown that 24 per cent of rainforests were cleared or degraded through logging or subsistence agriculture. The same studies point out that the forest clearance rate for forests accessible to industrial logging is up to 3.4 per cent annually, much higher than previously reported. China buys close to 82 per cent of PNG’s timber exports each year, representing a total volume of over two million cubic meters. Studies suggest 70 per cent of this logging is illegal. Demand for palm oil is also destroying many of New Guinea’s most valuable rainforests. Large forest areas on the island (and across the region) are being cleared for oil palm monocultures, destroying critical habitat for many endangered species. The destruction of these forests, which are usually cleared by burning releases huge amounts of greenhouse gasses into the atmosphere and accelerates climate change. However, many oil palm producers in New Guinea and around the world are pursing certification through the Roundtable on Sustainable Palm Oil (RSPO), the world’s most credible sustainable palm oil initiative. Certified Sustainable Palm Oil (CSPO) guarantees that social and environmental safeguards have been met during production. And importantly, CSPO also assures that high conservation value forests haven’t been cleared. Based on the first chapter of WWF’s new Living Forests Report, more than 230 million hectares of forest will disappear around the world by 2050 if no action is taken. The report proposes that policymakers and businesses unite around a goal of Zero Net Deforestation and Degradation (ZNDD) by 2020 as a global benchmark to avoid dangerous climate change and curb biodiversity loss. “As a region with high rates of poverty, it is absolutely essential that New Guinea’s precious reefs, rainforests, and wetlands are not plundered but managed sustainably for future generations,” says Dr Susanne Schmitt, New Guinea Programme Manager at WWF-UK. “Environmental protection and economic development must go together to ensure the survival of New Guinea’s unique species and natural habitats,” added Dr. Schmitt. Monitor lizard (Varanus macraei), Papua New Guinea. The most striking new reptiles identified in New Guinea in the last decade are the three new monitor lizards discovered on tiny islands off the Vogelkop (Birds Head) Peninsula of Papua in Indonesia. 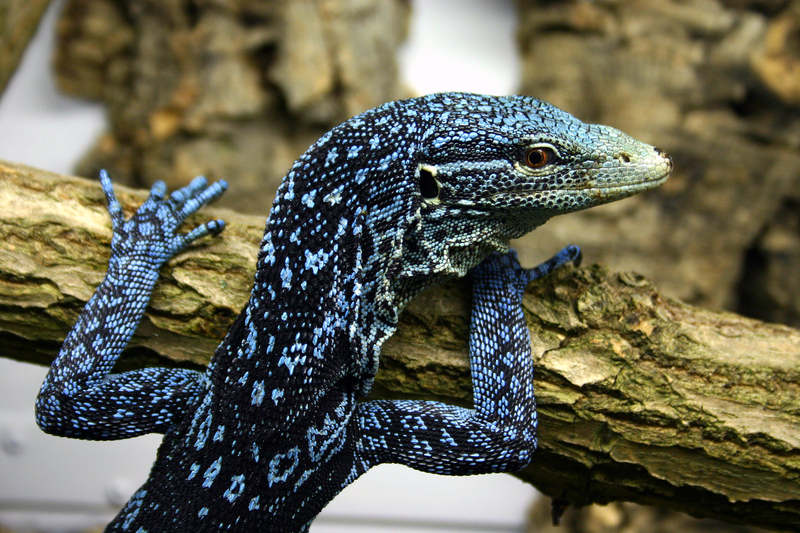 Varanus macraei, found on the island of Batanta and described in 2001, is one of the most spectacular reptile discoveries anywhere. Capable of reaching a metre in length, this beautiful species is black with a mesmerising pattern of turquoise and blue. Orchid (Dendrobium spectabile), Papua New Guinea. The forests of New Guinea harbour a rich variety of flowering plants. Orchids are the prime example of this plant diversity, and 100 new orchid species from New Guinea were officially described between 1998 and 2008 alone. Expeditions by WWF scientists, between 1998 and 2006, have also added significantly to the known orchid diversity found on the island. Our teams collected some 300 species of orchids in Papua New Guinea's Kikori region. Eight of these were found to be new to science, including the ornate and exquisite firework-like display of Dendrobium spectabile. Chilatherina Alleni rainbow fish. New Guinea has some of the most beautiful freshwater fishes found anywhere, including gobies, gudgeons and rainbow fish. Rainbow fish are small but breathtaking in colour, varying from a single vivid colour to a spectrum. Between 1998 and 2008, no fewer than seven new species of rainbow fish have been identified in Papua New Guinea and Papua in Indonesia, including Chilatherina alleni or Allen's rainbow fish.